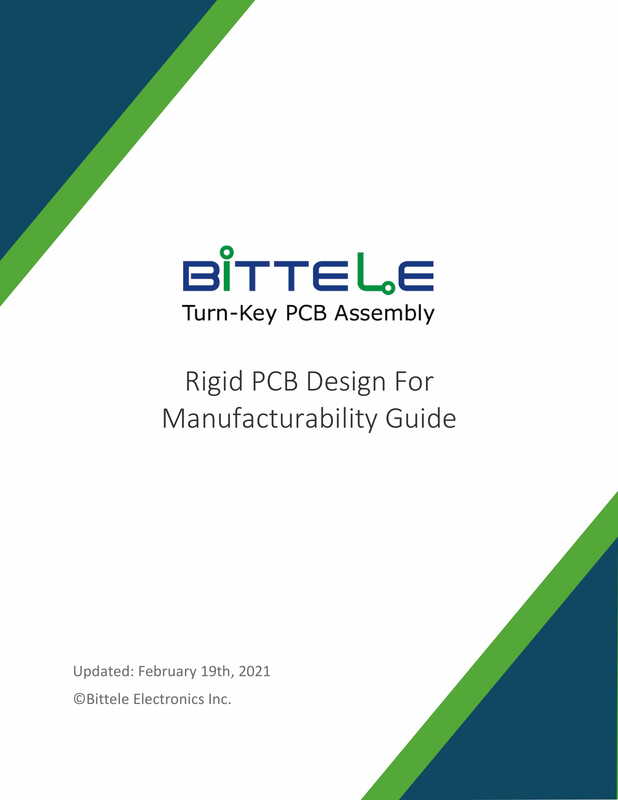 The purpose of this Design for Manufacturability (DFM) guide is to assist Bittele’s customers in designing printed circuit boards (PCBs) that can be manufactured quickly and efficiently. These DFM guidelines define the various tolerances, rules, and testing procedures to which Bittele adheres during PCB manufacturing. It is beneficial to all parties involved, in terms of both cost and efficiency, if these issues can be addressed during the design stage, rather than during production. By providing this guide, we hope to avoid the potential scenario where our client has finished designing a board, but must later revise their design due to facility limitations.